I have such a love/hate relationship with being sore. It hurts, but it's an awesome reminder that I worked out hard. Tonight, my right calf muscle is screaming and I blame it on my 6:00AM Spinning class. 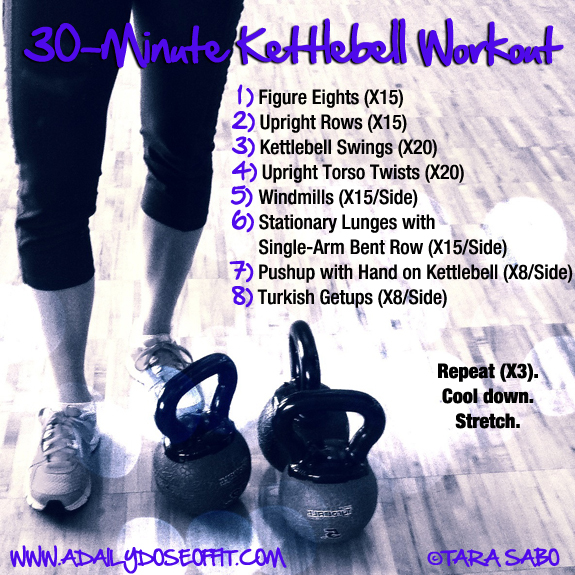 My right glute and hamstring were tight all morning, but I think my 10:00AM Kettlebell class worked that out. So right now, I'm doing this to my sore calf muscle. In my pajamas, and while wearing my slippers. Safe to say I also have a love/hate relationship with my foam roller. Here's a tip for you if you like to foam roll: Relax. I know, you can't help but tense up because it hurts...don't. Keep your muscles relaxed. A softer muscle is easier to dig into. You'll get a much deeper roll. Seriously, you'll notice the difference immediately if you take a deep breath and release whatever muscle you're rolling out. I find this advice the most beneficial when it comes to rolling out the calf muscles. It's hard to relax because you have to put pressure on the roller since you aren't putting a lot of bodyweight on it. Bearing down like this leads to a tense calf, naturally. But if you can find a way to bear down with a loose calf, it'll feel so much better. And since we're focusing on foam rolling the calf muscle, make sure you rotate your leg to get all sides of the muscle itself. I promise this'll feel so good. 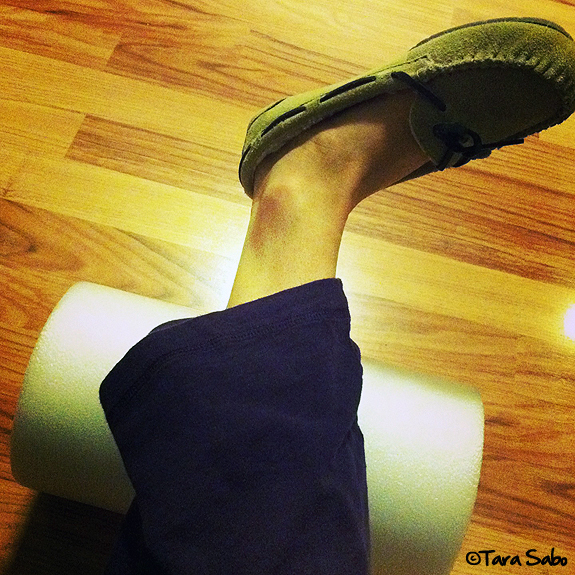 Another tip: I find that a half roller works really well when you roll out the calf muscles. I always feel like the full roller just gets in the way. I like to have my foot near the end so I can play with angles and rotation (see above), so naturally the smaller roller makes this easier. Anyway. That's my advice for you today. And here's a workout for you. You'll obviously need some kettlebells to get the most out of it, but if you don't have access to a set, a solid dumbbell will do (although you might have to get creative with your grip when it comes to the swings). Any questions, let me know: dailydose (dot) notes (at) gmail (dot) com. PS: Don't forget to enter my giveaway. Especially if you like hot tea. I am not familiar with all of the exercises above. Do you have a "demo" page that shows how to do these properly? Don't want injuries... ;) This looks great.